Example of a commercial sniper veil (A-TACS). If you're in a protracted and slow paced game, one of the best pieces of camouflage you can pack with you is a sniper veil. A sniper veil is simply a lightweight piece of fabric (that may or may not be semi-translucent, but is often very well ventilated) that is used to disrupt the form of your marker/head/torso when you're lying in wait. Many paintball and airsoft websites sell veils (for upwards of $20), but it's easy to find or make a cheap or free version yourself. The simplest veil, just take some light or threadbare white linens and cut them down to a size that makes them easy enough to carry around. If you prefer, you can take some cheap black or grey spray paint to give the veil a bit of a pattern, but in the deep winter pure white should be good enough. You should be able to make this with old linens you don't use, if not I'm sure you can find someone that has an old set of white linens they're not using. Whether locally or online, you should have easy access to a sporting goods supplier that offers camouflage mesh. 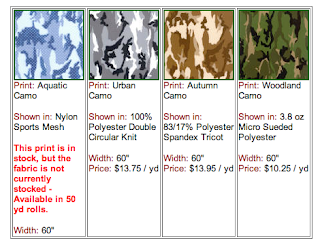 For reasonable camouflage mesh prices by the yard (5 foot width) check out Seattle Fabric or you can go dirt cheap and check out Alibaba's selection. The best option for a sniper veil, muslin is a loosely woven and light fabric that breathes like a dream (it originates in the Middle East, and is well suited to that climate). It also often has the advantage of being semi-translucent so if you really wanted to you could wear it over your goggle lenses. Muslin can be found at local fabric and craft shops for very reasonable prices (ask someone you may now, they may even have old muslin fabric they have no use for). 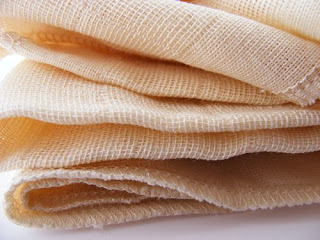 Be warned, untreated muslin is amazingly flammable so avoid the practice of burning threads, as many of us are used to doing with nylon gear. The picture shown above is a close-up is of muslin fabric, it should look familiar, that's what all the "tactical gear" companies market as their sniper veils.